Only we can make our life, full of happiness. Each person has the choice to be happy or not. If bad things seem to come their way, they have the power to choose what to do with it. Dwell on it, and be miserable or learn from it and try to move on. It took me years to realize that only I am in charge of my own happiness. Is your cup half full or half empty? I used to be such a critic and blame things that were out of my control for the reason I was unhappy. Now, I know, I chose to let it break me, get me down and upset me. Learning from my mistakes, and others around me is a valuable lesson but also learning to focus on the good and not the bad is just as important. As Charlie Brown said, “Happiness is anyone and anything at all, that’s loved by you.” How right you are Charlie Brown. There are so many family, friends, and things we can love all around us. If we are down, we need to reevaluate what is getting us so off course from a happy life that awaits us all. I am a very positive person, but even I get down sometimes and in those moments I remind myself, I am choosing to sit here and be miserable. I look around me and I remind myself of all the things I love that make me happy. I pull myself out of my misery. We are all entitled to a bad day, but why not be more happy in every way. We can find happiness just about anywhere, it may be in a photo we love, in a loved one’s eyes, in our children, in a poem that makes us smile or even the fact that it’s a sunny day. The list is endless. I have recently came across a challenge that is storming the social media networks worldwide called #100HappyDays Challenge. Each day, I submit a photo, via my choice of Instagram, Facebook, or Twitter, of what makes me happy, that day, for 100 days. I was excited, a bubbly person like me could find happiness in anything, but even I find it hard somedays to choose a picture that represents my happiness. I love this challenge mostly because it makes me focus on small things that can bring happiness into my life too, like a hot coffee, or a picture my son colored. Could you be happy once a day for 100 days? This challenge is great because it makes us see what we value as “happiness” and as this quote from Charlie Brown says, it’s anything loved by us! 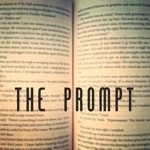 I am linking up with the lovely Sara from Mumturnedmom for her fabulous new linky called, “The Prompt”. Each week she provides a word, a topic, a headline, a quote, a scenario, or an emotion to reflect upon. The prompt is there to focus on the power of words, and communicating and enjoying the inspiring writings of others. Do join in, it’s a great way to stay positive at least for a moment every day. You can choose instagram, facebook or twitter. Just go to http://www.100happydays.com and sign up. you can pick what day you start! It’s your journey. Then you can buy a book of it all at the end, I believe. I am definitely going to check out #100days, I need something to remind me to remember the positives. Yes do, it’s so fun. Just go to http://www.100happydays.com and sign up with your email. You pick the day you want to start your challenge and where you want to start it. I think you can even buy a book of it all at the end. Thank you Kriss. Agreed sometimes we don’t see it when it’s right in front of us. Took me a long time to learn that.